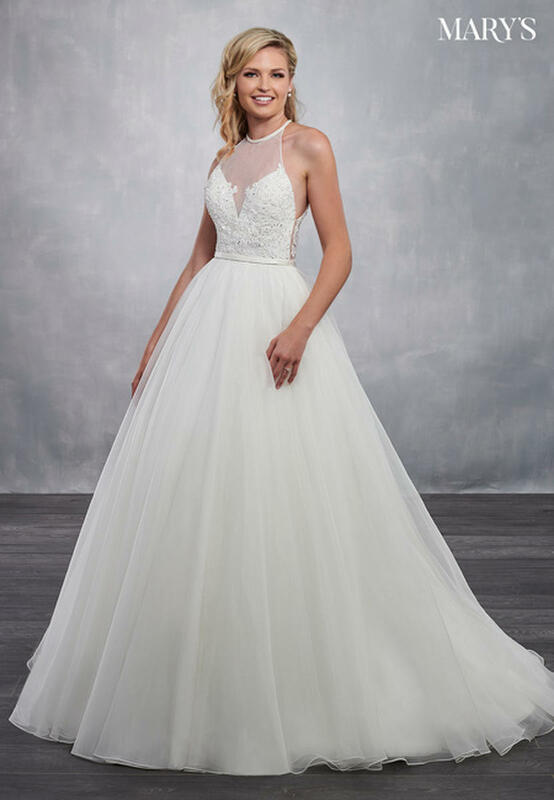 Feminine organza ball gown with a sheer tulle halter yoke, caviar beaded trim, and a plunging sweetheart neckline. The bodice is adorned with crystal beaded lace applique and a sheer racer-back. The gown finishes with a full circular skirt, sweep train, covered buttons and a matching tulle bolero jacket.